It's a great appetizer when fresh corn is around, but frozen corn works, too. 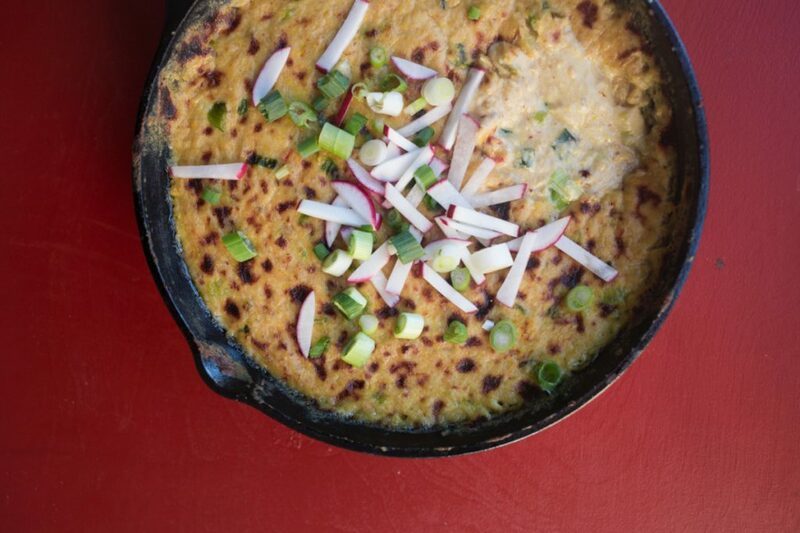 This hot queso dip is that kind of recipe. But look, there’s corn in it too! And scallions! And you can sprinkle radishes on top! That’s kind of healthy.